I think it is impossible to give thanks without struggle. And we cannot fully know one another’s struggles…the best we can do is just try to bear burdens by listening. It is amazing how very little we can know of another…really know…and yet it is awesome how connected we can be at the same time. Family is just that paradox…so connected yet not fully knowing. In a family, it is those moments that bind us together that matter most. Those moments that make up for the “not knowing”…those acts that connect us on an unseen level. 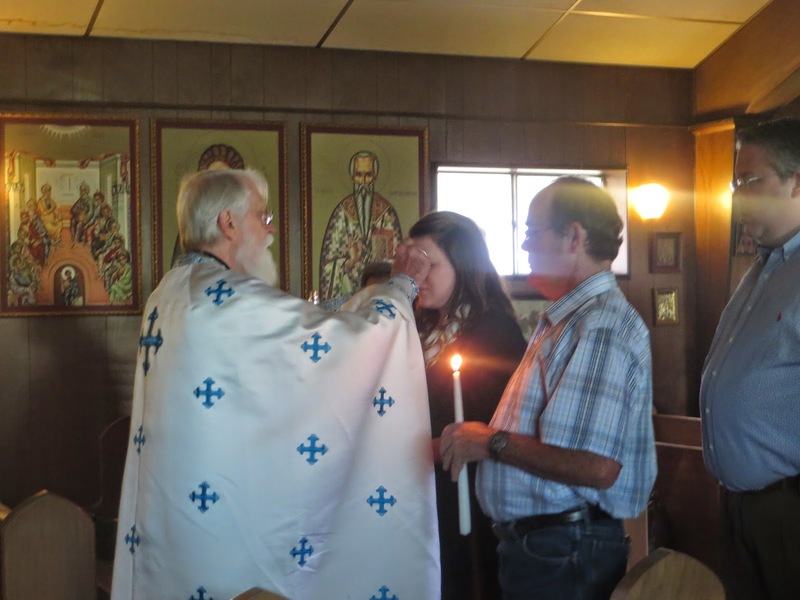 This summer my family was made complete in the Orthodox church. My father and sister-in-law were chrismated together, the last of our clan to enter the Church. It is really amazing when I think about it. My entire immediate family are Orthodox, and my maternal grandmother as well. We have not worshiped together as a family in over twenty years. And it was a struggle. Because faith connects families on unseen levels. My father let me pick out his church name, Titus. My sister-in-law took Nonna. It was a beautiful day. 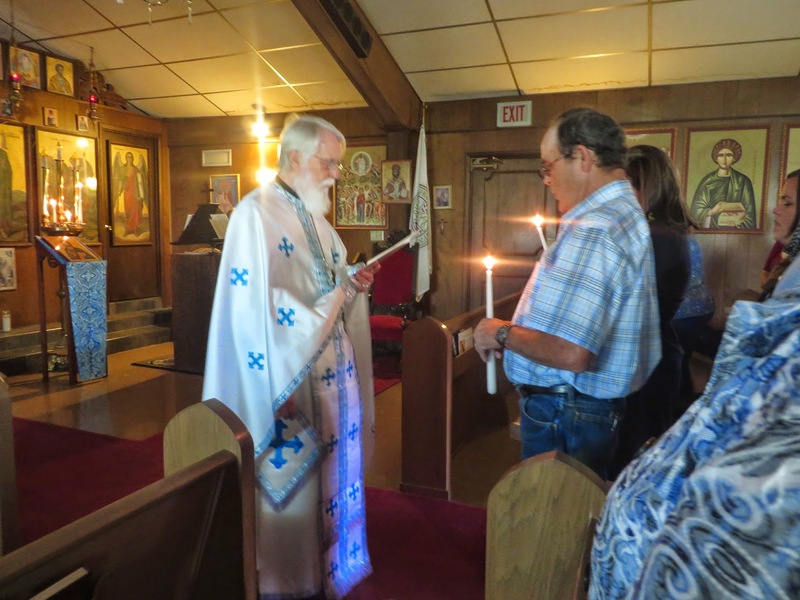 I know it is a great struggle to possess the wonder, beauty, and truth of Orthodoxy and not be able to connect with those you love the most…at least not on the unseen level. What is one to do in a family of non-Orthodox? I learned this the hard way…be gentle. Let go of control. Preach the gospel and when necessary use words. And know that even if it never happens…God is Love…He is good…and His mercy endures forever. I am so thankful for the Church…that my family worships together…that we are once again connected spiritually. That thankfulness is sweet because of the struggle…the pain of being disconnected for so many years. The journey was long and continues as we are converted everyday…every moment. I am so very thankful. How wonderful! My immediate family are the only one who are Orthodox in our entire family. Glory to God! So happy for your family – that is beautiful! I'm so thankful for my parents leading the way and becoming Orthodox (when their families aren't even really Christian) and that my husband's parents did the same. I don't have extended family that is Orthodox, but I have my immediate family, and my in-law family. That is such a blessing!